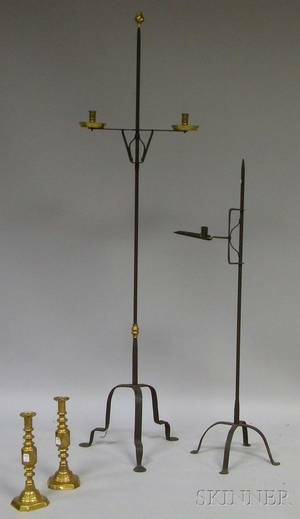 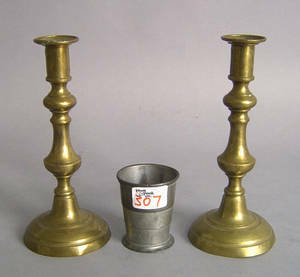 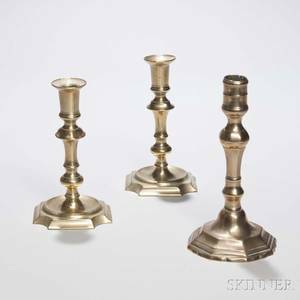 Pair of brass candlesticks, 19th c. , 8 3/4" h., together with a pewter camp cup, marked "H. Snyder Philadelphia". 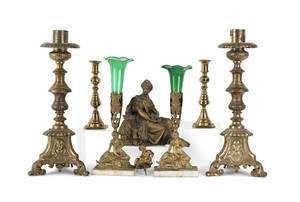 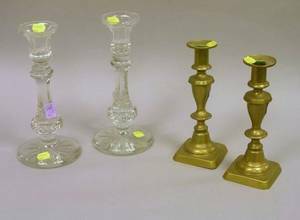 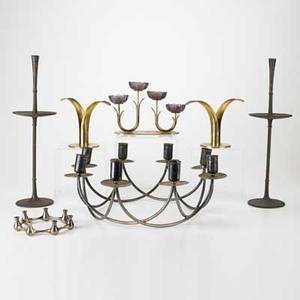 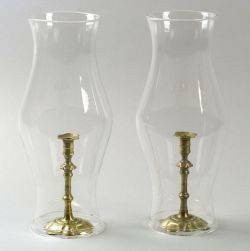 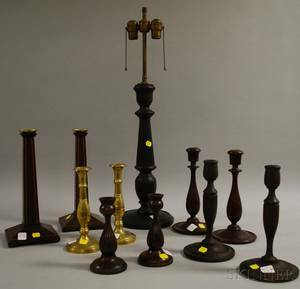 Pair of Colorless Cut Glass Candlesticks and a Pair of Brass Candlesticks. 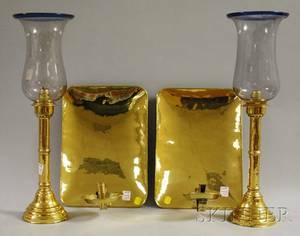 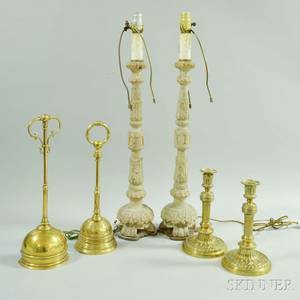 Pair of Painted and Carved Table Lamps a Brass Stand a Pair of Brass Candlesticks and Two Brass Doorstops.